The cluster has an apparent magnitude of 5.5 and lies at a distance of 1,500 light years from Earth. It has the designation NGC 2548 in the New General Catalogue. 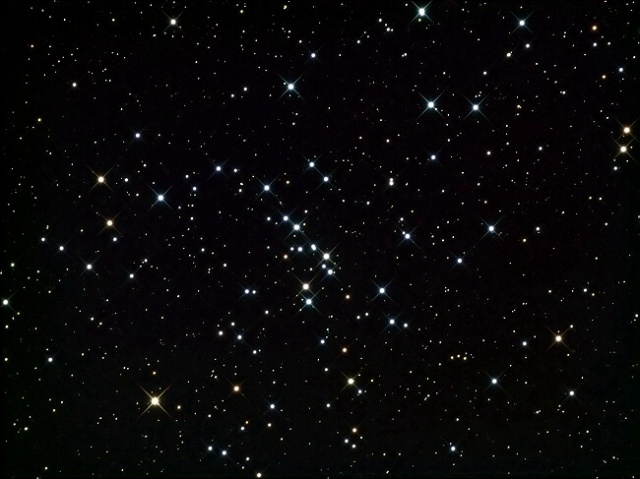 Messier 48 can be seen without binoculars in good conditions. It lies near the border with the constellation Monoceros, the Unicorn. The cluster is quite conspicuous, occupying an area of 54 arc minutes of apparent sky, which corresponds to a spatial diameter of 23 light years. The concentrated central region of M48 stretches across an area more than 30 arc minutes in size. The best time of year to observe the cluster is in the months of December, January and February. The best way to observe M48 is at low magnifications as it covers an area almost twice the size of the full Moon. The cluster is easily seen in binoculars and small telescopes, which reveal about 50 stars brighter than magnitude 13. 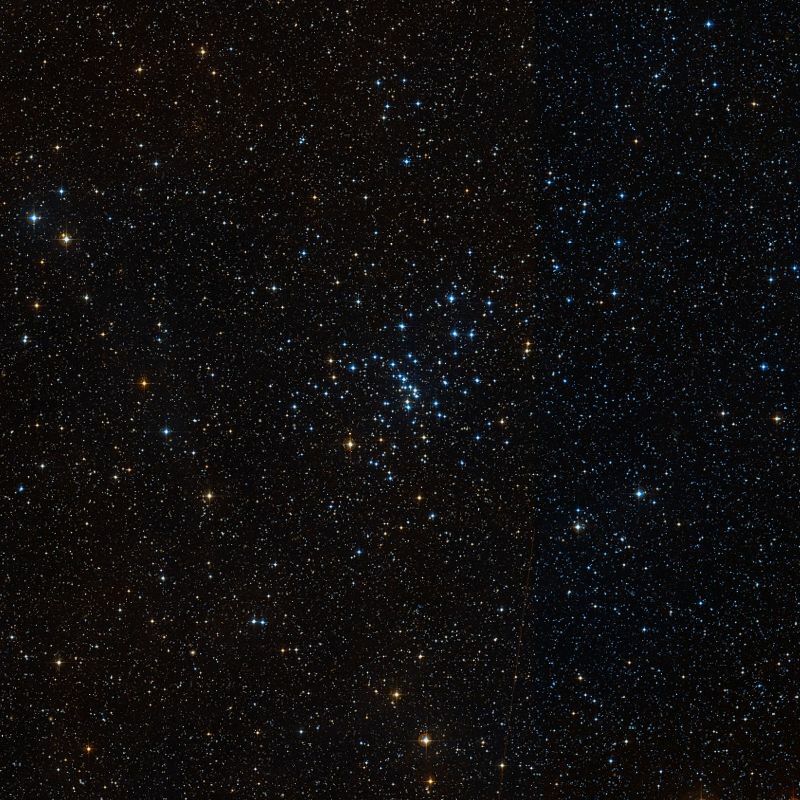 M48 has at least 80 members, including three giant stars of spectral types G to K. The hottest star in the cluster has the stellar classification A2 and a visual magnitude of 8.8. It is about 70 times more luminous than the Sun. The estimated age of M48 is 300 million years. 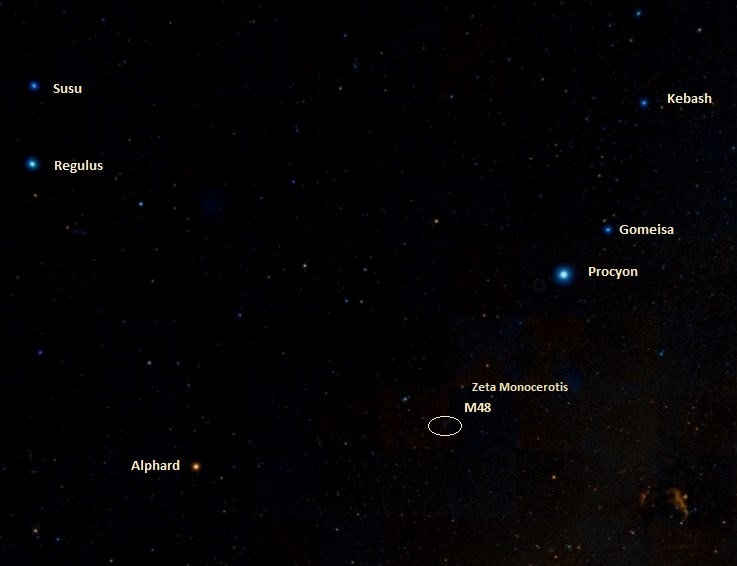 Messier 48 can be found 14 degrees to the southeast of Procyon, the brightest star in Canis Minor and eighth brightest star in the sky, or 3 degrees southeast of Zeta Monocerotis, a yellow supergiant with an apparent magnitude of 4.36, located in the constellation Monoceros. 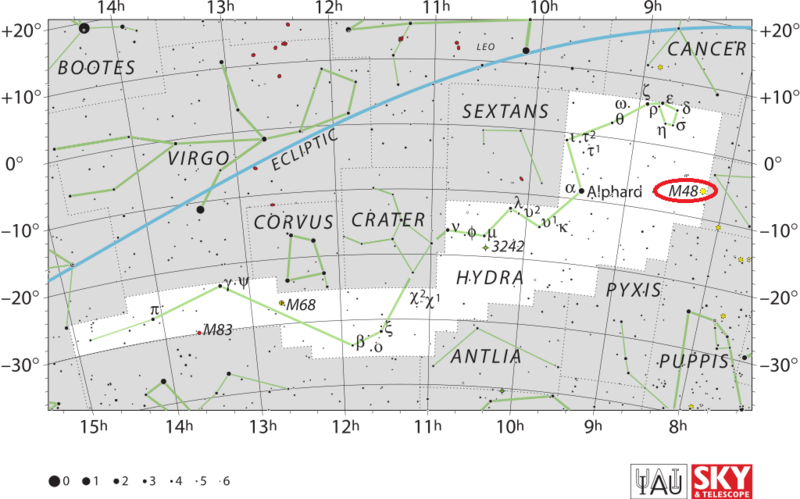 Charles Messier added the cluster to his catalogue on February 19, 1771. However, M48 was considered one of the lost Messier objects for a long time because the coordinates provided by Messier did not match those of NGC 2548: his declination was off by 5 degrees. It was the German astronomer Oswalt Thomas who identified the cluster as NGC 2458 in 1934. Canadian astronomer T.F. Morris identified the cluster independently in 1959. A neat but minute double star, in a tolerably compressed cluster on the Unicorn‘s flank, and lying 14deg south-east of Procyon. A 9 1/2 [mag], and B 10, both white. This object is in the middle of a splendid group, in a rich splashy region of stragglers, which fills the field of view, and has several small pairs, chiefly of the 9th magnitude. It was discovered by Miss Herschel in 1783, and was classed by WH [William Herschel] in February, 1783. 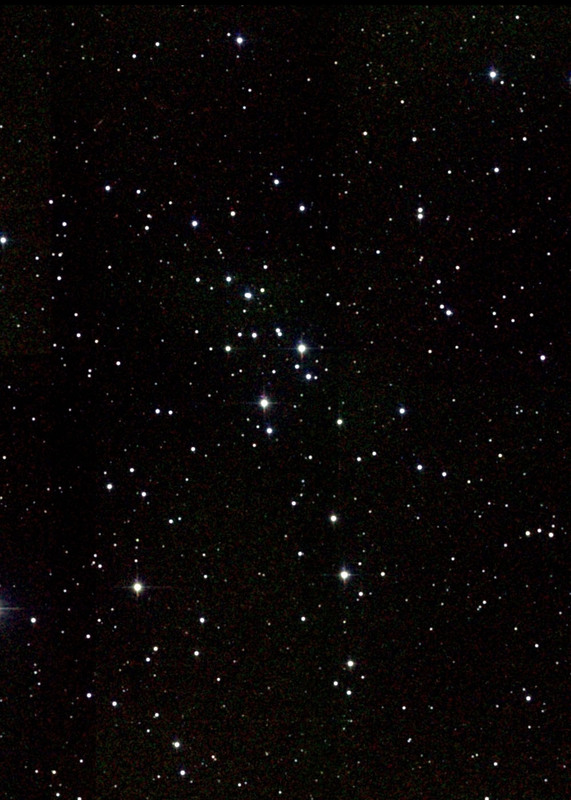 Messier 48. Atlas Image mosaic obtained as part of the Two Micron All Sky Survey (2MASS), a joint project of the University of Massachusetts and the Infrared Processing and Analysis Center/California Institute of Technology, funded by the National Aeronautics and Space Administration and the National Science Foundation.